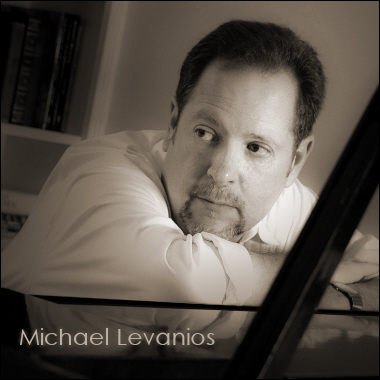 USA Composer and Sound Designer Michael Levanios has been featured in films, TV shows, high-end corporate projects, and commercials. His work can be heard on ABC, CBS, CNN, PBS, HBO, A&E, Bravo, National Geographic, the History Channel, and others. His Jazz CD "Another View" charted at #44. Two other instrumental CDs received play on XM, Sirius, and 150 terrestrial radio stations. Michael also composed theme music for seven TV shows including "Awesome Adventures," "Wild About Animals," and "The Haney Project." His versatility and creativity make him a seasoned winner. A sparkling cinematic Christmas fantasy. By day industrious elves work cheerfully in Santa's workshop, making toys for all the good girls and boys. But, at night the toys come alive, and the magic begins! If you like the music of Danny Elfman or John Williams, North Polar is perfect for you! Instrumental, Christmas, Xmas Orch. Is that you Santa Claus? Swelling Tremelo Stings, swirling harp glissandos and sleigh bells, sound like somebody caught Santa coming down the chimney. Perfect for your advert, logo, ringtone, animation, any project requiring a short short transition with sparkle! Don’t forget the cookies! Instrumental, Christmas, Xmas Orch. Stinger (Sleigh bells strings) - Christmas, Xmas Orch.